Joseph Campbell was a writer and lecturer on mythology and religion. He is particularly known for studying and pointing out the similarities in the myths of many cultures. Campbell graduated from Columbia University with a BA in English Literature and an MA in Medieval Literature. He received a fellowship to study in Europe from Columbia and studied Old French, Provençal, and Sanskrit at the University of Paris and the University of Munich. Unable to continue post-graduate studies in his chosen discipline as faculty at Columbia, he spent five years living in a cabin in independent study, reading nine hours a day. A further period in California and a friendship with John Steinbeck contributed life experiences which were shaping his future career choice. He also taught for a year and continued independent reading and study of the ideas of Carl Jung and Sigmund Freud. All this was beginning to alert him to the patterns that he would later see in mythology. In 1934 he was offered a professor position at Sarah Lawrence College. This was to be the environment from which he would formulate his ideas and write his books. 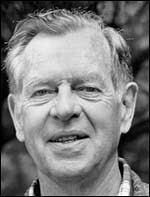 The Joseph Campbell Foundation was formed to preserve and promote Joseph campbell's works and to support further efforts in mythology and comparative religions. The website offers a calendar of events, a newletter, and a chance to become an associate, as well as a forum. On this page they post a daily quote from Joseph Campbell and keep people updated on relevant events. Amazon Synopsis: In the tradition of The Power of Myth, a conversation with Joseph Campbell that distills the mature wisdom and eclectic spiritual thinking of the world-renowned scholar and mythologist. Amazon Synopsis: Since its publication in 1939, countless would-be readers of Finnegans Wake - James Joyce's masterwork, which consumed a third of his life - have given up after a few pages, dismissing it as a "perverse triumph of the unintelligible." In 1944, a young professor of mythology and literature named Joseph Campbell, working with Henry Morton Robinson, wrote the first "key" or guide to entering the fascinating, disturbing, marvelously rich world of Finnegans Wake. The authors break down Joyce's "unintelligible" book page by page, stripping the text of much of its obscurity and serving up thoughtful interpretations via footnotes and bracketed commentary. They outline the book's basic action, and then simplify — and clarify — its complex web of images and allusions. Amazon Synopsis: After ten years of intensive study of Indian art and philosophy, Joseph Campbell, at 50, finally embarked on a journey to India. Searching for the transcendent (Brahman), he found instead stark realities: growing nationalism, religious rivalry, poverty, and a prevalent culture of what he called “baksheesh,” or alms. This journal chronicles the disillusionment and revelation that would change the course of Campbell’s life and study, and his transition from professor to counterculture icon. Balancing Campbell’s astute explorations of mythology and history are his often amusing observations of a sometimes frustrating alien culture and his fellow Western travelers. This account also includes personal photographs, specially commissioned maps, and illustrations redrawn from Campbell’s own hand. Amazon Synopsis: In these essays, Joseph Campbell explores the origins of myth and their role in everyday life — from Grimm fairy tales to Native American legends. He explains how the symbolic content of myth is linked to universal human experience and how myths and experiences change over time. Included is his acclaimed essay “Mythogenesis,” which examines the rise and fall of a Native American legend. Campbell reflects on subjects ranging from the origins and functions of myth, the role of the artist and the need for ritual, to the ordeals of love and romance. Illustrated throughout with photographs from Joseph Campbell's family archive and with a new, revised introduction, The Hero's Journey introduces the reader first-hand to Joseph Campbell the man, his discoveries, his terminology, and his thinking. Amazon Synopsis: Developed from a memorable series of lectures delivered in San Francisco, which included a legendary symposium at the Palace of Fine Arts with astronaut Rusty Schweickart, Joseph Campbell’s last book explores the space age. Campbell posits that the newly discovered laws of outer space are actually at work within human beings as well and that a new mythology is implicit in this realization. He examines the new mythology and other questions in these essays which he described as "a broadly shared spiritual adventure." Amazon Synopsis: An exploration of Eastern mythology as it developed into the distinctive religions of Egypt, India, China, and Japan. Amazon Synopsis: A systematic and fascinating comparison of the themes that underlie the art, worship, and literature of the Western world. Amazon Synopsis: Provocative and personal writings on mythology, culture, and modern life by our century's foremost interpreter and teacher of myth. Gathered together here for the first time are twelve eclectic,far-ranging, and brilliant essays exploring myth in all its dimensions:its history; its influence on art, literature, and culture; and its role in everyday life. Written at the height of Joseph Campbell's career -- and showcasing the lively and learned intelligence that made him the premier writer on mythology of our times -- these essays investigate the profound links between myth and history, the arts, and modern life.From psychology to the occult, from Thomas Mann to the Grateful Dead, from Goddess spirituality to Freud and Jung, these playful and erudite writings reveal the threads of myth woven deeply into the fabric of our culture and our lives. Amazon Synopsis: A paperback edition of Campbell's major study of the mythology of the world's high civilizations over five millennia. It includes nearly 450 illustrations. The text is the same as that of the 1974 edition. Amazon Synopsis: In 1927 Joseph Campbell was given clues to reading James Joyce’s labyrinthine Ulysses by its original publisher Sylvia Beach and, as he said, it changed his career. His discoveries became the foundation for his later work in comparative mythology. To analyze Ulysses and Joyce’s other works, he employed depth psychology, anthropology, religion, and art history as tools. A treasure for Joyce and Campbell fans alike, Mythic Worlds, Modern Words collects 60 years of Campbell’s writings, lectures, and other commentary on Joyce, including exchanges with his audiences and Campbell's 1941 Joyce obituary. Amazon Synopsis: Master mythologist Joseph Campbell had a genius for finding the unifying symbols and metaphors in apparently distinct cultures and traditions. In Myths of Light: Eastern Metaphors of the Eternal, Campbell explores, with his characteristic clarity and humor, the principle that underlies all the great religions of India and East Asia, from Jainism and Hinduism to Buddhism and Taoism: the transcendent World Soul. Amazon Synopsis: What is a properly functioning mythology and what are its functions? Can we use myths to help relieve our modern anxiety, or do they help foster it? In Myths to Live by, Joseph Campbell explores the enduring power of the universal myths that influence our lives daily and examines the myth-making process from the primitive past to the immediate present, retuning always to the source from which all mythology springs: the creative imagination. Amazon Synopsis: Celebrated scholar Joseph Campbell shares his intimate and inspiring reflections on the art of living in this beautifully packaged book, part of a new series to be based on his unpublished writings. Amazon Synopsis: In this second volume of his Asian journals, Campbell reports on his travels through east Asia and his five-month stay in Japan. Sake and Satori includes the never-before-published sequel to Campbell’s Baksheesh and Brahman and covers the author’s journeys through Thailand, Cambodia, Burma, Hong Kong, Taiwan, and Japan. It offers a snapshot of 1950s Asia and its rapidly changing postcolonial and Cold War tensions. Campbell shares his experiences with Noh drama, Kabuki theater, and geisha houses, and explores how Asia absorbs and resists Western notions of gender, pluralism, and wealth. He relates conversations with fellow travelers, scholars, and Japanese people from all walks of life. Along the way, his asides develop into philosophical explorations augmented with photos and drawings. Amazon Synopsis: Thou Art That is a compilation of previously uncollected essays and lectures by Joseph Campbell that focus on the Judeo-Christian tradition. Here Campbell explores common religious symbols, reexamining and reinterpreting them in the context of his remarkable knowledge of world mythology. According to Campbell, society often confuses the literal and metaphorical interpretations of religious stories and symbols. In this collection, he eloquently reestablishes these metaphors as a means to enhance spiritual understanding and mystical revelation. With characteristic verve, he ranges from rich storytelling to insightful comparative scholarship. Included is editor Eugene Kennedy’s classic interview with Campbell in The New York Times Magazine, which brought the scholar to the public’s attention for the first time. Amazon Synopsis: The volume itself is a consummate example of the art of bookmaking. Campbell's scholarly and readable text is integrated throughout with a profusion of color plates, specially-commissioned full-color maps, outstanidng black and white photographs, unique drawings, and numerous illuminating charts. Drawing on cultural and art history, as well as on anthropology,ethnology,archaeology,paleontology, and linguistics, THE WAY OF THE ANIMAL POWERS will be indispensable to all those interested in mythology, comparative religion, history , and the study of man. Amazon Synopsis: Before he was the engaging professor who brought mythology into people’s living rooms through his conversations with Bill Moyers, before he became known as the thinker whose ideas influenced Star Wars, and before his now-beloved phrase “follow your bliss” entered the popular lexicon, Joseph Campbell was a young man who tried his hand at writing fiction. At the age of twenty-nine, after years of Depression-era unemployment, when he lived off money he had earned playing saxophone in a jazz combo and read the world’s great literature in a syllabus of his own design, Campbell published his first short story. That tale, included in this collection, remained the famed mythologist’s only published piece of fiction, until now. In these stories, readers will find rich mythological symbolism, down-to-earth concerns with the ravages of the Second World War, and singular iterations of Campbell’s famous Hero’s Journey schema — all interwoven into a literary style that anticipates the genre that would years later come to be known as “magical realism.” Compelling in their own right, these seven stories are essential reading for longtime Campbell fans and the many who continue to discover him afresh. Product Description: From the Star Wars trilogy to the lyrics of the Grateful Dead, Joseph Campbell has had a profound impact on our culture, our beliefs, and the way we view ourselves and the world. Provocative and exhilarating, full of wit and wisdom, these lectures are windows into one of the great minds of our time. Product Description: Never before on audio and authorized by the Joseph Campbell Foundation, here is Volume Three in a new 40-hour series. These are the key lectures that Campbell kept in his study and used as the basis for later lectures on myth, symbolism, and spiritual awakening. Provocative and exhilarating, full of wit and wisdom, they are windows into one of the greatest minds of our time.